The adventure photographer crawls on his belly as he aims his camera wearing a tan safari hat. Our cute wind up Khaki Brown photographer wiggles legs as he crawls across the forest or swamp. Sneaky crawling action like a photographer from National Geographic or I Love Gators Magazine. What a great gift for any outdoor adventurer! Collect both of our Adventure Photographer wind-ups and have a race! Boil the mysterious green liquid in our Time Warp Alien Love Meter. 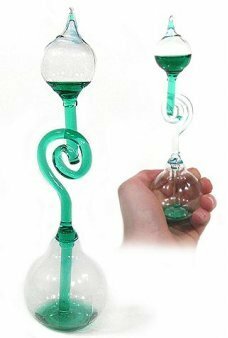 Our beautiful glass Hand Boiler..
A real slingshot on the end of a wooden pencil. 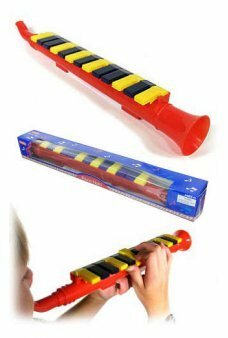 The Cata Pencil is a nifty blue rubber band ca..
It’s ttwo musical instruments in one - a real horn with 13 piano keys! 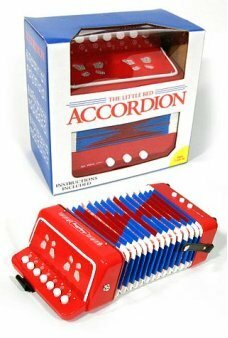 Play melodies at once without..
Our Little Red Accordion looks and sounds like the real thing! The beatuiful red heavy-duty plastic ..
Decorate your yard in 1950’s Style with the Original Pink Flamingos! Our set of Flamingos includes 1..